Fantastic guests and an opportunity not to be missed at Tuesday's Lambeth Cyclists meeting! Lambeth Council has commissioned a plan for a dense borough-wide Cycle Network of appealing and convenient routes, this is to further its ambition to become London's most cycle friendly borough for all people, young and old. We are delighted that Mark Strong has agreed to outline the work. Mark is managing consultant of Transport Initiatives which will draw up the Network. As members of Lambeth Cyclists, with unparalleled local knowledge, we need to be able to review and comment constructively on the plan when it has been drawn up. To our great pleasure, Dr Rachel Aldred, chair of LCC's Policy Forum, has offered to follow on from Mark's briefing. Rachel is Reader in Transport at the University of Westminster and teaches on the university's MSc Transport Planning and Management. Rachel will set out considerations for a high quality network and take us through an exercise where we devise a cycle network for an area of Lambeth. The meeting is this Tuesday, 17 January, from 7.30 (sharp!) to 9pm at Stockwell Community Centre, 1 Studley Road, SW4 6RA (just behind Stockwell tube station). Please come along if you can. The word document with our draft response, to be submitted on Monday, can be viewed on our Yahoo group here. Opinions and suggestions are welcome before we submit this. 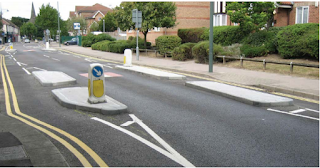 Are these measures sufficient to get many children cycling to the many local schools and around the neighbourhood? Please do comment using the survey on the website. If you live, work or visit the North Lambeth area (Prince's and Oval wards), the Council would like to find out your priorities for investing payments that are made by developers to fund local improvements. A Community Local Investment Plan (CLIP) is now being drawn up and your input would be appreciated. The money can be spent on capital items (e.g. cycle parking or segregated cycle tracks) or on revenue items (e.g. cycle mechanic training programmes). Councillor Joanne Simpson has arranged a meeting to source ideas for cycling improvements in the area. It is this Thursday 5th January at 6.30pm, upstairs at the Black Prince pub, 6 Black Prince Rd, SE11 6HS. If you can't make the meeting but have a suggestion beforehand you'd like discussed please email it to lambeth_cyclists@hotmail.com. Ideas from the meeting will feed into Lambeth's Prince's and Oval wards CLIP consultation that runs until Friday 24 February 2017. Please reply to the survey there too.